News, Reviews and advice on security related issues. It has long been known that the HDcctv standard has been developed in order to ensure interoperability between compatible HD SDI equipment but what happens if you test non compliant equipment together? We set out to prove if it mattered or not. The devices we tested were as follows. 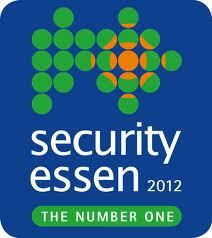 The bi-annual Essen Security exhibition has now closed for another 2 years. Boasting a huge array of Halls and technology to visit, surely Essen has now rightfully claimed its title as THE Security Exhibition to visit ahead of rivals such as IFSEC? One thing that is not contested in the CCTV market place today is that HD CCTV is inevitable. It is the natural upgrade path for pretty much every CCTV system out there and the results that can be achieved using HD cameras are superb. HD CCTV gives the end user what they want and to this end as Avigilon rightly say “the evidence is clear”. Benefits of CCTV…but is this the real picture? CCTV is just about everywhere now and is universally accepted by the public as something that is part of our everyday lives. However what are the benefits and what is the real truth behind CCTV systems that have been installed over the last 20 years? Posted in HD SDI CCTV, HD SDI DVR, HDCCTV | Comments Off on Benefits of CCTV…but is this the real picture? TCO of an IP Surveillance system.